We are a leading Manufacturer of sand filters from Chennai, India. Our firm specializes in manufacturing, exporting and supplying a comprehensive range of Sand Filters for Chemical Industry. 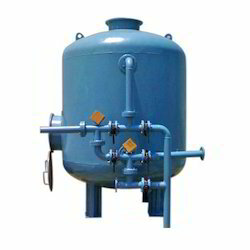 This sand filter is obtainable in several specifications as per the variegated demand of customers. The offered sand filter is manufactured by top notch material & contemporary technology. The sand filter offered by us is availed at nominal prices within a stipulated time frame.